If you are a first time mobile phone buyer, during CES 2012 Emporia Telecom has your back covered by announcing the Emporia Click phone, a mobile phone designed for those that don’t really require anything but a simple mobile handset for texting and messaging, and we have a little hands-on video of the Emporia Click for your viewing pleasure below. 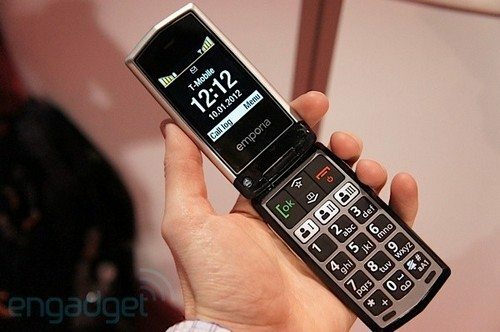 According to the guys over at Engadget, the Emporia Click phone is basically a simple basic camera phone with a clamshell form factor with a finger friendly housing, large buttons, and a single click emergency button that lets the user go through five emergency numbers. With the Emporia Click phone the user can also save their 3 most important contacts and access them via the speed dial buttons, and there’s also the ability to adjust character size on the display to make reading what you write easier. The Emporia Click phone hands on video footage comes our way courtesy of Crunch Techie and delivers roughly a minute and three quarters of checking out the handset. Not for those smartphone lovers that adore high tech stuff on their handset, but if you are after a basic handset the Emporia Click phone should become available in early Spring and command a price tag of under 100-bucks off contract. I hope this is a success. A phone that’s purpose is to be a phone. what a concept. Bought Emporia Click phone at Vodafone Mitchelstown, as it seemed easy to use and had big buttons. 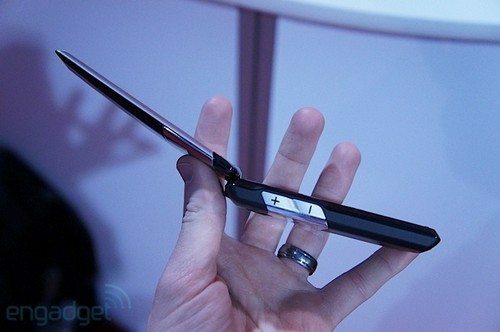 However, I bought it in the morning and that evening the phone would not work, there was a black smudge on the screen, brought it back to the Vodafone shop the day after, they sent it away to be checked, the engineers said it had got a knock, which it didn’t. Not a good buy if you want reliability.